Own a legend! ... This single-owner Buddy Davis 47 has dominated fishing tournaments throughout Florida and farther south. Her solid fiberglass (non-cored) hull with that unmistakable "Carolina Flare" turns heads as easily as she raises fish. Buddy Davis 47's are well known for their sea-keeping ability ... PERMIT is powered by extremely reliable Detroit Diesels providing 1,500+ horsepower. 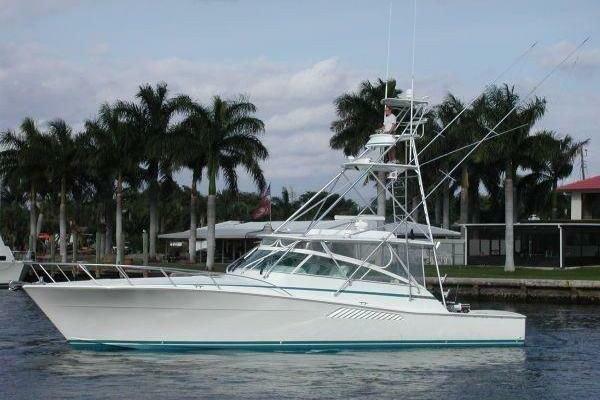 West Florida Yachts would love to guide you through a personal showing of this 47' Buddy Davis Sportfish 1990. This yacht for sale is located in North East, Maryland and priced at $250,000. For a showing please contact us by filling out the form on this page and we will get back to you shortly!